The great Bob Marley once famously said, “One good thing about music, when it hits you, you feel no pain.” Maybe to best understand its healing powers, our souls have to reach depths from which melodies, grooves and lyrics of hope flow and offer us our only salvation. True to the title of his extraordinary debut album, Robert Fulton has been a Witness to difficult times and most challenging circumstances life could throw his way. They broke him for a while, but the re-emergence of his long set aside musical passions drove him to not only survive, but thrive. Drawing on his love for rock, blues and soul, he creates an enduring testament to the resilience of the human spirit and the redeeming power of music. In just a few short years, the heartfelt, brutally honest New York singer-songwriter with a million and onestories went from down and out to working with legendary producer Jack Douglas (Bob Dylan, Aerosmith, John Lennon, Cheap Trick) creating his masterwork at Sunset Sound Recording Studios and United Studios in Los Angeles. Everything in that creative environment felt like a long way from the time he formed his first rock band on Long Island, signed to his first publishing agency in NYC at nineteen and worked with a bunch of legendary musicians and producers throughout his 20s. Marriage, divorce, ahouse fire, a stretch of homelessness – you name it, it got in the way of the music and blotted out those youthful dreams. Yet now, the Universe was finally going his way. He was developing his brilliant tunes with a rock and roll master, in a realm that felt like home, doing what he was always destined to do. Another key facilitator helping bring Robert’s talent and dreams to concrete fruition with greatcommercial potential is Ron Alexenburg, previously SVP at Epic Records who worked with/signed music legends Meat Loaf, Boston and Michael Jackson. Robert was getting his life on track and working as a local concert promoter in New York when he first met Alexenburg through a mutual acquaintance. A few years later in Los Angeles, when Alexenburg heard Witness, he became more than a friend offeringindustry advice – but a full on mentor offering career guidance and helping Robert open doors and make important connections in an increasingly competitive industry. Throughout the ten tracks, Robert offers glimpses into that healing and ultimately life affirming process, with a powerful emphasis on the yearning to belong which connects us all as social-minded human beings. The set opens with the gritty blues and soul influenced “One Woman Man,” a blunt expression of the singer being pissed off in his frustrating search for a partner who is loyal and honest. The bridge reflects the longing in his life: “This world, a thousand miles an hour/Might as well just hold onto one another.” The track features Jack on harmonica. “She’s Cold” taps into a classic brassy soul vibe, with Robert lamenting the shallowness of women who come on as real but who quickly show their darker intentions. Taking the completely opposite view of women, the beautiful, easy rolling acoustic gem “Shine” is a beautiful ode to his ailing mother, filled with gratitude yet a tinge of regret for time lost in their relationship over the years. After two bluntly spoken, blues tinged relationship songs, “Why We’re Through” and “Man on the Side,” Robert wraps the collection with another beautiful ode to the importance of family, the rock and gospel infused anthem “Sister Brother.” He sings about how the bond of loved ones can overcome anything: “Life is just a monster/Better off holding one another/Sister, brother”. The singer says, “Maybe I was just a delusional kid, but to me, those early memories with my family, between the ages of 5 and 7, were part of the best period of my life. I lived at my grandparents’ house and the extended family always got together. I felt safe there, and ever since, in a sense, I’ve always been searching for home.” Though it comes earlier in the tracking, “Soul to Soul” expresses that sentiment beautifully – it’s a haunting acoustic song of desperate yearning to find someone in whom he could find a true and lasting home. FRANSISCO CENTENO (Bass): Francisco was discovered at the age of 15 and began recording with Motown greats like Diana Ross, Smokey Robinson and Marvin Gaye. By the age of twenty, he had played in all the major cities in the USA while touring with Aretha Franklin, Melba Moore and Bette Midler. For the past 30 years, he has been heard on hundreds of commercials, albums, motion picture soundtracks and TV shows. Fransisco has played with several Broadway shows and is currently with A BRONX TALE. KEVIN HUPP (Drums): Kevin is a world class, award-winning drummer, producer, songwriter and studio owner. He has toured with some of the best artists and musicians in the world, beginning in 1986 with the legendary Rick Derringer and working with him for the next ten years. Kevin has also shared the stage with Edgar Winter, Johnny Winter, Eddie Van Halen, Hall and Oates, Freddy Johnson, many others. He most recently played with Iggy Pop. JERRY Z (Organ): Jerry creates a sophisticated and modern approach to the Hammond B3 and is an intrinsic part of the New York music scene. 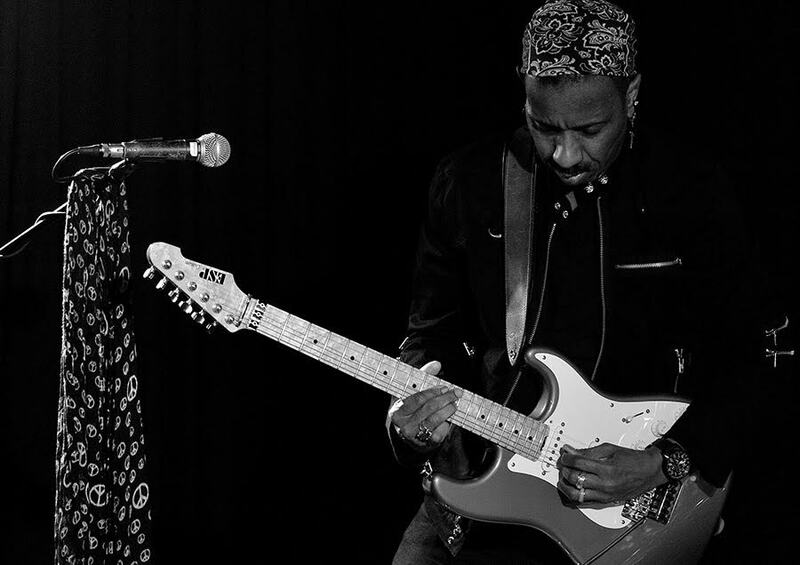 With a style all his own, Jerry has captured the attention of audiences at home and abroad with fresh melodies, potent grooves and soulful compositions. Notable collaborations include recordings for soul-jazz pioneer Melvin Sparks, Grove Up, This is It, Jim Payne's Sensei and Energie, Oz Hoy's Twisted Blues Volume 1&2, Who Gives A Funk, and The Headhunters’On Top album. Jerry has also enjoyed performing and recording with Delbert McClinton. RONNY DRAYTON (Guitar): Ronny was raised in South Jamaica, Queens, NY, and first played drums at St. Clement The Pope Middle School. He switched to guitar at age seventeen, and met and played with many of the great ones in the genres of Rock, Funk, Soul, Blues and Jazz. His mentors included Jimi Hendrix, Edwin Birdsong, Albert King, Roy Ayers, Attila Zoller, James Blood Ulmer and The Chambers Bros. Ronny studied Composition and Arrangement at Kingsborough Community College. Over the years, he has worked on countless recording projects as well as numerous TV shows and videos. ASA LOVECHILD (backing vocals): Asa Lovechild is a singer, actress and writer. She is a native of Louisville, KY, who started her singing and acting career at the age of four. She has had the privilege and honor of touring with the legendary Nona Hendryx (Labelle) for the past eight years, and has shared the stage and worked with the likes of R&B singer Monifah, Tsidii Le Loka, The Black Rock Coalition, Toshi Reagon, George Clinton, The Ladies of SKYY, Sara Dash (LaBelle), Melba Moore, Lonnette McKee, Martha Redbone, Freddie Jackson, Morley, Imani Uzuri, Sandra St. Victor, Qaasim Middleton (American Idol Contestant), Jerry Harrison (Talking Heads), and many more renowned acts. Asa holds a BA in Literature and Theatre Arts, an MBA in marketing, and is pursuing her DBA in Entrepreneurship (Entertainment). Her last album, Love's Experience (Steve Wallace Edition), has charted twice on the UK soul charts (in 2007 and again in 2013). She is noted as being one of the top 20 digitally downloaded artists in Neo-Soul, on Amazon.com UK. You can hear her music in heavy rotation in Brazil, Germany, Nigeria, the UK, and other parts of the world. She is currently in the final stages of recording her follow up album to Love’s Experience and is in talks for mounting her one woman show Identity Crisis. KEYONTIA "Ki Ki" HAWKINS (backing vocals): Ki Ki Hawkins is a singer, originally from Baltimore, MD, who attended The Baltimore School for the Arts where she expanded vocally from gospel, R&B, jazz and rock into classical. This classically-trained prodigy further continued her education at The Juilliard School of Music. Ki Ki began her touring career with notable artists such as Amel Larrieux; Kelis; Angelique Kidjo; Nona Hendryx; Patti LaBelle; The Legendary Group LaBelle, and 2009 Grammy Nominated artist Maiysha. 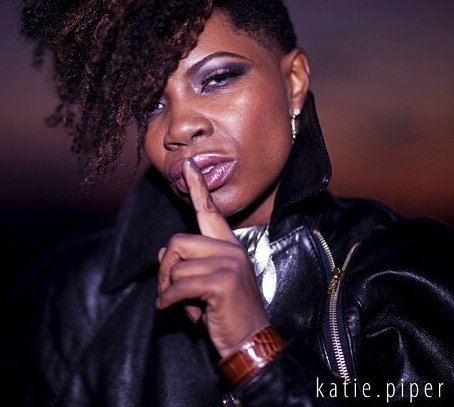 As an established writer, Ki Ki has written and performed lead and backing vocals on dance singles, "You Don't Tell Me Anymore", "Get Up", "Thankyou", "Keep It Movin", and "Give You What You Need" for Wakko Records with singles released in the UK and the US. She has been invited to lend her vocal styling to many studio sessions, including Raheem DeVaughn's "Love Experience" album, as a featured vocalist on Q-Tip's 2007 single "Work it Out" and 2009 "Kamaal the Abstract", backgrounds on LaBelle's 2008 "Back to Now" CD, the 2009 E.P. release of “The Ki Ki Experience LIVE”, and backgrounds on Nona Hendryx's 2011 "Mutatis Mutandis" album.